Rhino changed . . . again. Much better . . . again! Rhino 2011 - Mo beta! 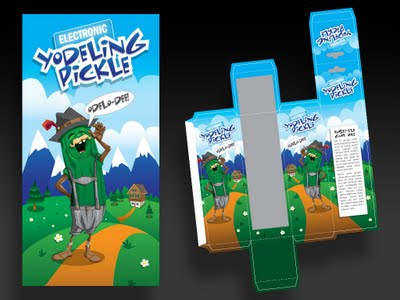 Archie McPhee recently had a job posting which included designing a package for their Yodeling Pickle product. Here's the package I illustrated and designed. Too much fun! 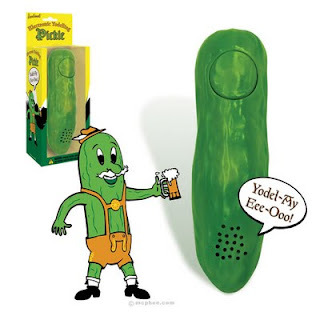 This is the image of their current product shot. Got a gift certificate from a friend to a "U-brew" place in downtown Edmonds called Gallaghers'. 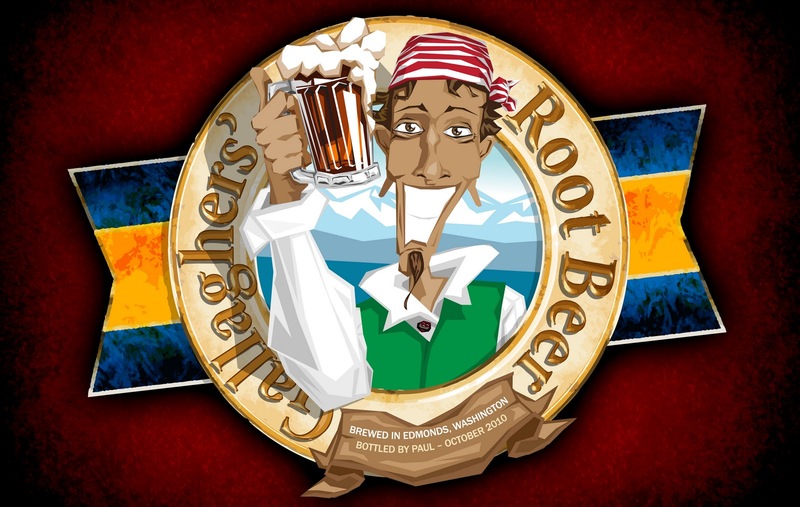 They provide the equipment and kits to brew your own beer, wine, hard ciders and root beer. I decided to turn the brewing opportunity into Christmas gifts this year. In combination with an art challenge from one of my nieces, I designed the labels that went with the root beer I bottled and the two ciders I brewed. bottling it. It's the best of the bunch! As mentioned in the title, this cider tastes great. 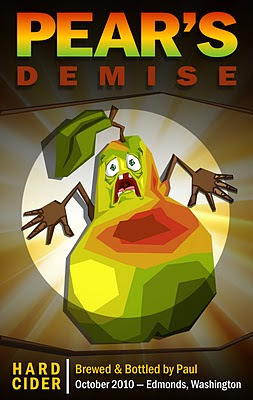 much like pear. It tastes more like champagne. to it tasting like pear . . .